TMJ & Migraine: Are you clenching your way to a migraine? Based on ongoing discussion in the Migraine.com Community, we’ve invited James P. Boyd, DDS to share his thoughts on TMJ & migraine. There are many theories which apply to migraine pathogenesis & treatment, the article below highlights opinions expressed by Dr. Boyd. Do not stop, start or change any treatment program without first discussing the benefits and risks with a healthcare professional. The term TMJ, or Temporo Mandibular Joint, refers to the hinge joint between your jaw and skull. At one time, the dental industry assumed that disorders of this joint were a cause of people’s head and neck symptoms. However, no study has ever shown a causative connection between the condition of one’s TM joint and their symptoms or lack of symptoms! When discussing your signs and symptoms with a dentist, you’ll often hear him refer to “the occlusion” as an important component of your condition. In the dental world, the occlusion refers to the scheme in which your upper and lower teeth come together and the relationship of your upper and lower jaw while your teeth are together. Dentistry assumes there are “ideal” occluding schemes and jaw relationships, and conversely, there are “mal-occlusions”…but here’s the problem… there has yet to be any research to show that your occlusion determines if you are symptomatic. We’ve all seen someone with a perfect bite and beautiful teeth, yet they are miserable, while someone who is in desperate need of an orthodontist can feel fabulous. So what’s causing my symptoms? There is one more piece to this “clenching vs. grinding” puzzle. If the back molars are touching, jaw clenching is strongest. If only the front incisors are touching, jaw clenching is much weaker (30% of its maximum). The purposeless touching of the teeth is called “parafunction”. The intensity, duration, frequency and jaw position during the parafunctional events determines the nature of your symptoms. So how does parafunction tie in with migraine? Migraine disease is a disorder of the trigeminal nerve system. The sensory component of the trigeminal nerve collects information from all three of its divisions. Information is categorized, with negative or “noxious” input being acted upon depending on its significance. For example, a taco chip that scrapes the roof of your mouth during chewing is not deemed to be worthy of responding to, while nearly the same act performed by a dentist with a similar feeling tool can elicit a protective response. The decision of whether or not to respond to noxious input is called “modulation”. “Dysmodulation” occurs when an otherwise normal input is inappropriately acted upon. A migraine pain event results from “trigeminal sensory dysmodulation”, when normal sensations from certain triggers(particular foods, smells, etc. ), cause the trigeminal nerve to secrete chemicals that result in the swelling and burning sensation around the brain, or sinuses, or throughout the mouth and jaw, that is, migraine pain. So how does the trigeminal sensory system develop a case of dysmodulation? Most probably, it is being exposed to an excessive amount of noxious input, called “nocioception”, which may be fatiguing the system and keeping it from behaving normally. That’s why when you visit a health care provider regarding your migraines, not only do they want to identify your triggers, they want to find what’s been making you “triggerable”. Jaw clenching when you are asleep produces a massive amount of noxious input and the typical jaw-clencher wakes most every day with some degree of headache. In fact, many chronic migraine sufferers don’t mention the “daily background headache” to their doctors in fear of having them labeled as “rebound” headaches. Dr. Boyd designed and patented the NTI (nociceptive trigeminal inhibition) device, for the relief of his own chronic tension-type headache and frequent migraine attacks. The NTI specifically limits clenching intensity, and was approved by the FDA for the prevention of medically diagnosed migraine pain as well as migraine associated tension-type headaches. As the founder of the Headache Prevention Institute in Michigan, Dr. Boyd has extensive experience treating patients suffering from chronic tension-type headache, migraine, and jaw disorders. 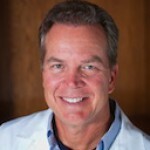 He is the past Director of Research and Senior Clinical Instructor at the White Memorial Medical Center Craniofacial/TMD Clinic in Los Angeles, and is currently a practicing clinical consultant at the Neurology and Headache Center of Southern California in addition to pursuing medical research opportunities with the NTI. I often clench and when I previously worked for a dentist he told me I had TMJ and put me on a very mild short course of Valium. I was very reluctant to take it but he assured me only at bedtime and a very minimal amount to break the cycle. I had to admit he was correct. I have repeated this once or twice since when I knew I was very stressed and grinding my teeth. I think my migraines were almost nil during that short period, funny I never associated that. Thank you for the enlightening info. I’ve had chronic daily migraines almost 2 years. I also was diagnosed with occipital neuralgia. I noticed my TMJ acting up around the same time and ended up having surgery to repair the disc and put it back in place on one side a year ago. I’m in a full time splint now until my bite is realigned next week with crowns and equilibration then will wear it at night. Dr said any effect of surgery on my headaches would have been felt by now and there has been no change in headaches. I do think I clench still. I was really hoping this would be an answer. Any thoughts? My oral surgen made me aware that I am a “clincher”. I have noticed when I am more stressed I tend to clintch my back teeth together. I am in day 3 of a migraine that I think has been triggered by this. I have been trying to remind myself to relax, but it’s easier said then done. I figured this migraine was somehow linked to the fact I have been clintching, but wasnt positive. This article came at the perfect time for me! Thanks! I am a clincher also. Be aware that it will eventually crack your fillings and your teeth. I am paying the price right now with crowns on my teeth (very expensive). Relaxing is the key. It’s hard, but soon it will become a habit, a good habit. When you consider that just swallowing puts an enormous amount of force on the jaw joints, it isn’t hard to believe that clenching and/or grinding can cause severe facial pain or headaches. What we have seen is that many patients had NO idea how awful they felt until they start addressing their clenching. Not just headaches but body pain, too. In my opinion, the most important thing is just becoming aware of your situation….many patients I have talked to feel so much better after keeping up with a diary of their symptoms..it also helps the doctor figure out what is going on. Thank you so much for discussing TMJ disorder…. It is so much more common than people think! I was on Tegretol for migraine prophylaxis, which is supposed to be specifically for that nerve pathway. My TMJ was WORSE with that drug, and part of why I had to quit taking it. I went to Topamax. I had to quit Topamax for other side effects, but it did eliminate almost all of my TMJ symptoms! Go figure! I know the NTI device has helped many, many people, so I’m thrilled to see the designer of the device sharing his knowledge with us here. It’ figures that there aren’t any near me. But it may be worth it to see someone a little farther away. Thanks! Jessica, at the NTI website you can search for providers: http://www.nti-tss.com/. Hope this helps! OK so I know I grind my teeth and I was treated as a teen for TMJ. Now that I’m older and my teeth have shifted and I know I still grind, ( my finance says so). How do I get this device and how much does it cost? I suffer from TMJ and had 8 teeth removed at age 13 and wore braces for 5 years to correct the problem. Now at age 39 and after losing some teeth my bite is “off” again and I suffer daily headaches. My insurance does not cover a dentist to get a custom “bite plate” so here I suffer every morning. I still grind my teeth at night and while I have OTC devices to keep my teeth separated during sleep they all are too uncomfortable to get used to It’s about time someone started talking about this. I’ve been suffering for 26 yrs. Thanks! Jessica, If you decide to try it out make sure you let us know if you get results! Thanks I will take that into consideration and talk with my dentist. So if I shouldn’t be using a bite plate to relax the muscles then what can I do if my grinding is causing daily headaches? A “bite plate”, whether provided by your dentist, or the OTC versions, provide you with a platform dedicated to be clenched on, and for many migraineurs, that’s the promblem! What I’d like to know is if a person’s migraines are usually afternoon onset, can they be contributed to by TMJ clenching. Thanks for the info! Maybe I’ll get that bite guard after all. No, but I might when I’m asleep. Debating whether to get a guard to keep me from doing it. However, $400 for something I may or may not do, and it may or may not contribute to my migraines. So I haven’t rushed out and had one made. Do you clench your teeth when your stressed, I do. Still no allergist or immunologist as experts? shame. Very true…Thank you Dr. Boyd for caring for migrainers…I was diagnosed with TMJ and had teeth removed and braces…However I never had a migraine. The problem was the pain in the jaw when I ate. Your work is important and TMJ can be very painful. Karen-Dr. Boyd’s article is only the second in our Guest Expert series. As you can surely imagine, finding reliable experts in various fields and publishing articles can be a time consuming process. We hope to have additional Guest Experts on the site in the future and we appreciate your suggestions – and patience. We are grateful that Dr. Boyd took time out of his busy schedule to share his thoughts with the Migraine.com Community members interested in learning more about TMJ & Migraine.